Eidsiva Nett operates the electricity distribution network in 20 municipalities in the counties of Hedmark and Oppland in south-eastern Norway, and serves nearly 160 000 customers. In October 2014 Eidsiva Nett and Aidon signed a contract for the delivery of an advanced smart metering solution (AMI) including smart electricity meters, a head-end system for meter reading, as well as the related IT-systems and services for the project implementation. What is the status of Eidsiva’s AMI project in January 2017? 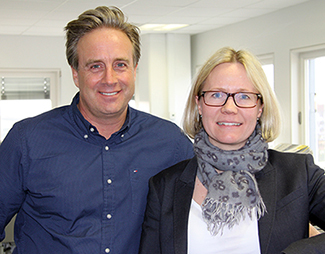 We met two key persons who are in charge of the project at Eidsiva Nett in Hamar: Anne Sagstuen Nysæther, Manager of grid strategy and Tomas Arnewid, AMI project manager. – The legislation which set the functional requirements for smart meter deployment in Norway came into force in July 2011. It triggered the start of AMI procurement process at Eidsiva, Anne Sagstuen Nysæther tells. – In addition to fulfilling the legislative requirements we have two strategic drivers for our AMI. The first one is to reshape our work processes throughout the value chain, from metering process to invoicing, and all related processes. This is to ensure that we remove parallel, overlapping work and to clarify responsibilities when the smart meters are taken into use. The other driver is smart grid. We are investing in several extra AMI functionalities on top of the minimum requirements in order to get the best possible value and knowledge from the AMI system and to enhance our customer service, grid planning and –operations. The function/process mapping created the basis for the AMI project, both from the system set-up point of view and from the operational point of view. This is reflected in the project responsibilities: the task of the AMI project is to build up the smart metering system and make the agreed functionality and data available on a system integration platform, as well as ensuring the invoicing process all through the value change. 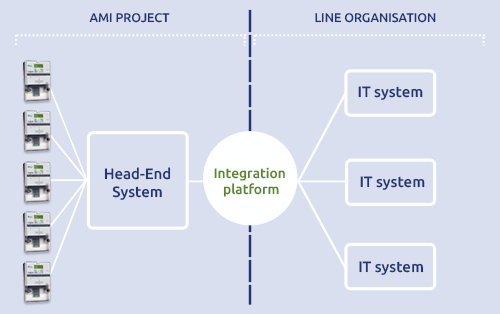 For every other function, the line organisations’ responsibility starts from the integration platform: make use of the AMI data by integrating it to the processes and related IT solutions. The mass roll-out of 159.000 smart meters started 16th of September 2016. Before that, a lot of planning, scheduling and testing was needed, to ensure that when the meters are installed, the whole system will be capable of delivering and handling the data. Already in 2015 a ‘minipilot’ of 200 meters was run to test the work order system for the installation process and routines. The next pilot with 2300 meters was carried out in May-June of last year, and in that, SLA was the key focus to validate system performance. The mass roll-out is carried out by Eidsiva’s own installers and by hired resources from OneCo and Relacom. On the average, 360 meters per working day will be installed during two years, which means 46 meters per hour. In January 2017, 30 000 meters have been installed and approved. The target is to have the installations completed by summer of 2018 in order to have time for final system tests and acceptances, and to have the system ready by the official deadline, 31 December 2018. Eidsiva’s AMI system is based on RF communication network which is built at the same time when meters are installed. The core of the RF network consists of master meters which are installed in substations. 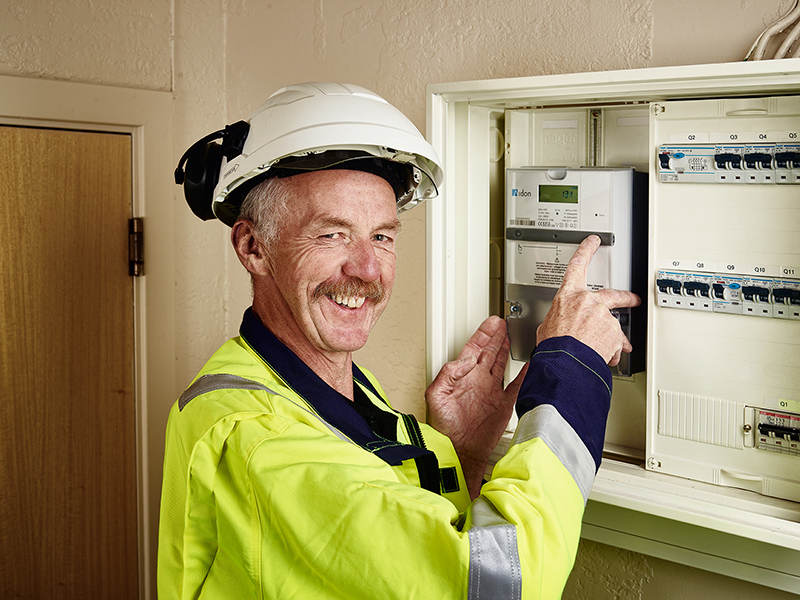 Once the master meter is in place, the household meters for that area are installed. They automatically find the RF route towards the master, which then communicates with the head-end system via cellular / mobile broadband network. Radio planning is an essential part of the roll-out in order to ensure the needed radio coverage, capacity and performance. In the planning it is important to take into account the increasing volumes of data that will be carried in the network when new functionalities are added into the system. This will happen along with the roll-out both by enhancing the Head-End-System’s functionality and by updating the meters in the field remotely with new features. Also for this, reliable RF network is crucial. The Norwegian functional requirements for smart metering are high compared to any other country. Yet, Eidsiva Nett, as well as many other DSOs decided to go beyond the mandatory requirements and to invest in a future-proof smart metering platform which is an essential element of an intelligent, digital grid of the future. Building something totally new for the future rarely goes according to the initial plans. Not in Eidsiva’s project, either. There have been some issues related to HW and SW delivery, and contents of the planned project mile stones have been adjusted. Despite of this, the total project is in schedule and the performance targets in terms of SLA are met. – There is no project without any challenges. The question is how they are dealt with. Open communication, responsiveness and commitment are essential for the success of the project. This works well with Aidon, Tomas Arnewid says. When ready, Eidsiva Nett’s AMI solution will enable them to manage their grid much more efficiently thanks to actual information of the grid status with help of earth fault detection, voltage quality measurements and outage alerts, for example. The accumulated data about grid load and capacity will be useful for planning the grid investments. And importantly, new and improved services can be offered to customers: actual and precise information about their energy consumption, new tariff models and more. – We have big expectations for our AMI, which is an essential element of our wider approach to digitalisation. This is an important step towards a modern and flexible future energy system, Anne Sagstuen Nysæther says.